“Robin Brennan has come home to Campion Bay. Now her parents have retired, she’s set to become the new landlady of The Campion Bay Guesthouse. Bookings have been as thin as the hand towels, and it doesn’t take long for Robin to realise that the place needs a serious makeover. Perhaps throwing herself into the task will help to heal her sadness at the tragic end to her dreams in London. As she gives the guesthouse a new lease of life, Robin encounters old friends and new, including old flame Tim, who’d clearly like to reboot their romance. But what about Will, the new arrival at No. 4, who’s rocked up with the cutest dog ever? I am ashamed it has taken me so long to post this review. I finished this book back at the beginning of July and I meant to do the review straight away, but the summer holidays seem to have got in the way. Still, better late than never, hopefully! This book is one of the exceptions to my ‘buy no new books in 2017’ rule, as I got it via a bid in the Authors for Grenfell auction, so I have a lovely personally signed copy with a sweet note from Cressida inside as a bookmark. I’m really glad that I haven’t had to wait until 2018 to read this, because it is my favourite Cressida McLaughlin book so far, and I loved the first two! Early in July, Mini Me had one day off school with a slight cold. I’m not sure what evil mutation of the germ she passed on to me, but the cold somehow evolved into the most horrendous ‘flu and I was forced to take to my bed – which never happens because I normally just refuse to be ill. Along with tissues, flu medication and a hot water bottle, I took this book to bed with me and it was definitely the best medicine. This book is totally absorbing, sweet and uplifting and I raced through it from cover to cover. As soon as I finished it, I wanted to read it all over again and it has earned a permanent place on my favourites shelf. I must admit, I am a sucker for a book set by the sea, they transport me to one of my favourite places on the Welsh coast where I spend some of my happiest hours, and this is a particularly lovely example of the genre. I had a very clear picture of Campion Bay in my head and it is the perfect seaside resort, peopled with a lovely bunch of interesting characters. I loved Robin’s ideas for the renovation of the guesthouse and the themed rooms she designs. It reminded me a little of one of my favourite hotels, Crab Manor in Thirsk, North Yorkshire and I wondered where Cressida got her inspiration. (If I ever get to stay at the One in a Blue Moon Guesthouse, I’d book in to Rockpool). The main character of Robin is impossible not to like, she is so open, generous and passionate but also unsure of herself, a great heroine to root for. The book has romance in the form of the brooding Will who moves in next door, and Robin’s ex-boyfriend Tim, who is suitably shifty as the local slick estate agent. Throw in a feisty best friend, a couple of cute pets, some fun local events and plenty of community spirit and magic starts to happen. Although this is quintessentially a romance, what I love most about this book are the strong female characters, making things happen for themselves and not waiting for men to make everything okay. We all love to be in love, but it isn’t the answer to every problem and in Cressida’s books, sisters are definitely doing it for themselves, and the hunky men are just the icing on the cake. This is proper modern romance that will warm the cockles of any feminist who also enjoys a feel-good story (which is okay, by the way, you can be a feminist and like to read romance novels too!). I loved this book. Cressida’s writing is warm and enticing and leaves you with a happy feeling. What more can you ask from a book? I can’t wait for Cressida’s next one because I think her writing is only getting better and better. The Once in a Blue Moon Guest House is out now and you can purchase a copy here. Cressida McLaughlin’s two new Christmas e-novellas The Canal Boat Cafe Christmas: Port Out and The Canal Boat Cafe Christmas: Starboard Home are out on 1 November and are available for pre-order now. I love autumn, it is my absolute favourite season. This quote from F. Scott Fitzgerald in The Great Gatsby always feels so relevant to me. For me, this time of year always feel like the time most full of promise and potential, much more so than new year or spring. It is the time of the new school year – shiny new shoes and stiff uniform, new pencil cases and new friends. The beginning of my university life and leaving home, starting my first full-time job, qualifying as a solicitor. I got married in October, two of my three children were born at this time of year, I started my own business in September 2013….all of the big milestones of my life are indelibly connected with autumn. I started this blog back in January to keep track of my pledge to buy no new books this year and I had no plan beyond writing for my own pleasure – kind of like an online diary – with no particular hope or expectation that anyone else would read it or that it would be any more than that. I haven’t done a huge amount with it, I haven’t got hundreds of followers, I don’t follow any of the blogging ‘rules’ or do any of the things that you are supposed to do (the older I get, the less I like being told what I ‘should’ be doing. With age come the realisation that individuality is a lot more fun than conformity!). I haven’t even done any of the things I thought I was going to do with it by way of regular posts and book reviews. However, this blog and its related Twitter feed have, nevertheless, opened up a whole lovely, welcoming community of book bloggers and some really exciting opportunities that I never expected. 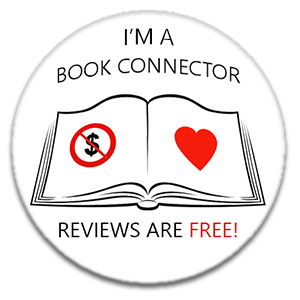 I have been able to connect to some of my favourite authors and help to promote their books. I have even got some exciting meetings lined up with some over the next month. I am attending the launch of Cathy Bramley’s latest novel The Lemon Tree Cafe in Nottingham tonight, and having afternoon tea with Cathy and Miranda Dickinson next month, courtesy of the Authors for Grenfell auction. I am part of Miranda’s #Team Sparkly, currently guarding an exciting secret on her behalf, which we will be revealing on 7 September, so watch this space. I’ll also be meeting Veronica Henry in November, as part of a hugely exciting new project for me and I have big plans for 2018. So, here’s to a new ‘year’, I hope it is the start of exciting new times for you all.